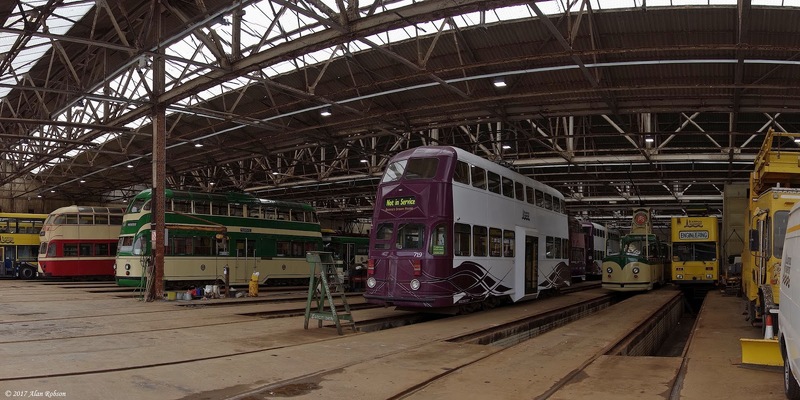 As part of the Fylde Tramway Society's 2017 Convention weekend, a visit had been arranged around the Heritage Workshops at Rigby Road tram depot. 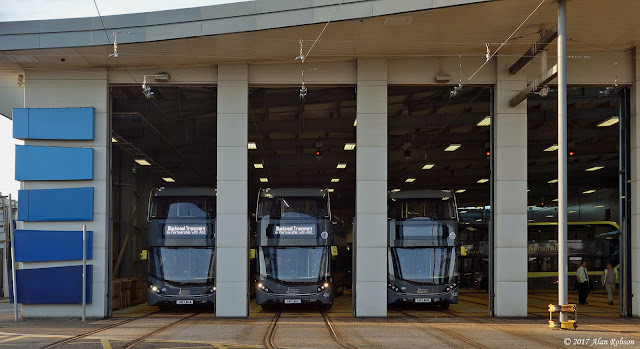 While there were much of interest to see and hear during the tour, unfortunately an embargo was placed on the publication of any photographs taken inside the workshops, therefore the only record of this years visit is a panoramic shot of the depot taken from outside the main running shed. 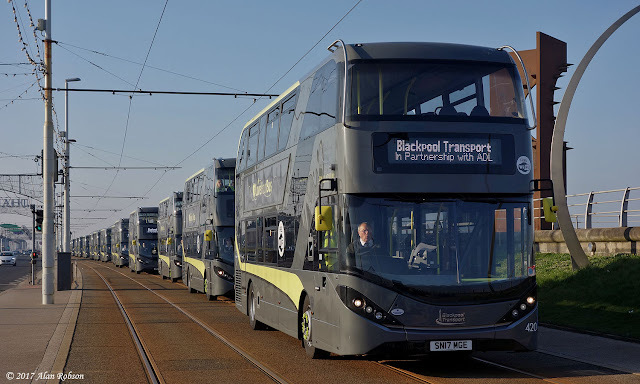 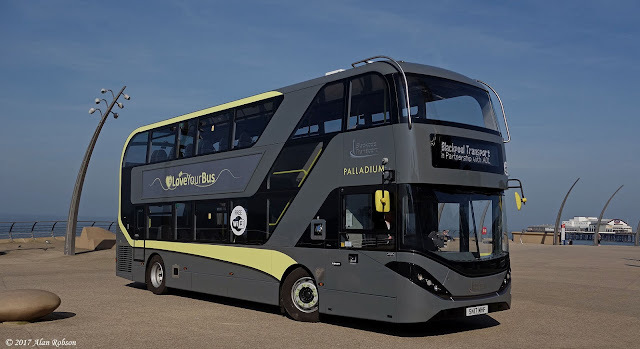 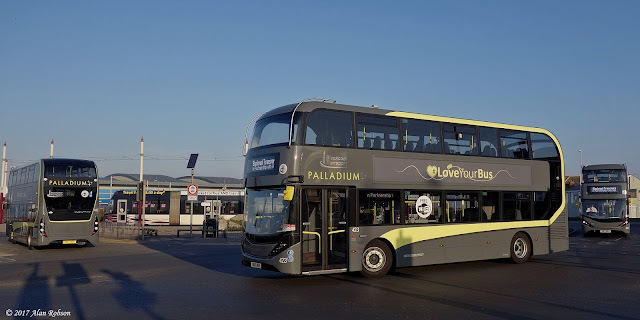 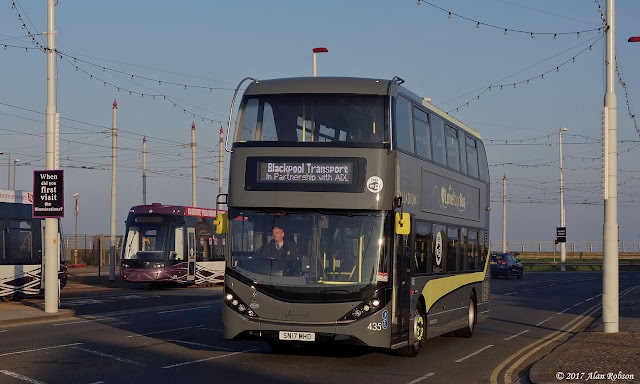 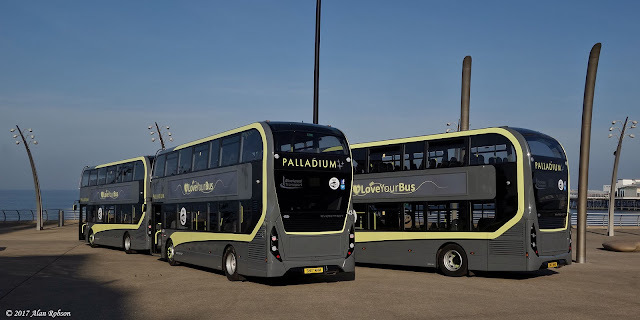 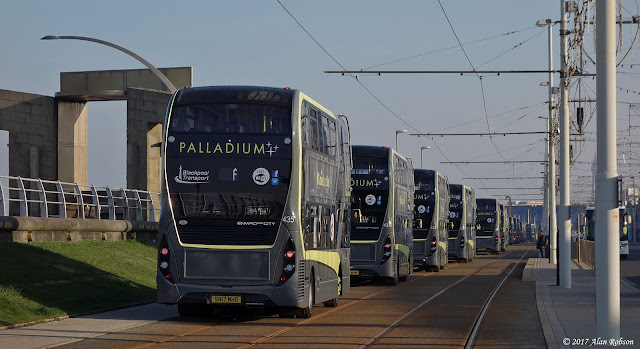 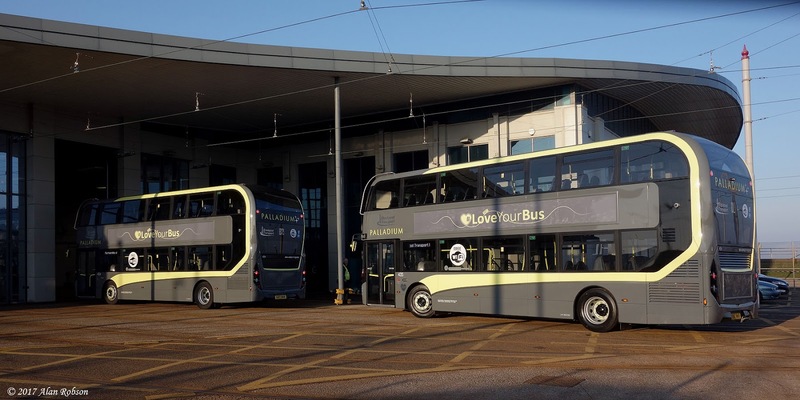 Blackpool Transport held a launch ceremony for their new 2017 batch of 25 ADL Enviro 400 City buses on Sunday 9th April. The proceedings began at Starr Gate tram depot, where several of the Flexity trams had been parked on the loop track and around the tram terminus to allow the depot to be used for the start of the days proceedings. 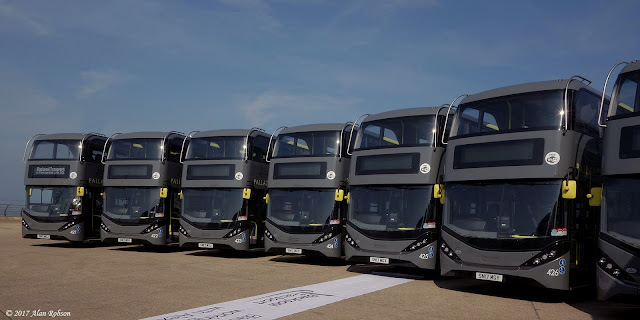 The Enviros began to leave from Starr Gate at 0800, departing in numerical order beginning with 411 and ending with 435 at the rear of the parade. 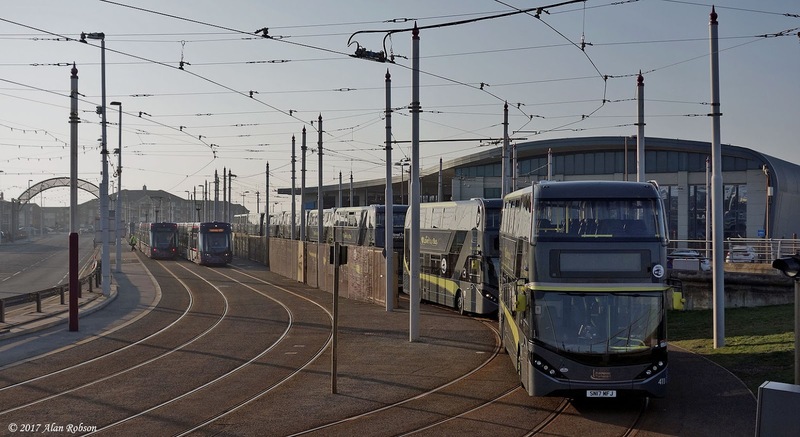 The cavalcade of 25 buses processed northwards along the tramway, with the majority of them turning off the tracks at Manchester Square to return to Rigby Road depot, 431 to 435 continued along the tram tracks and parked up at the Tower headland. 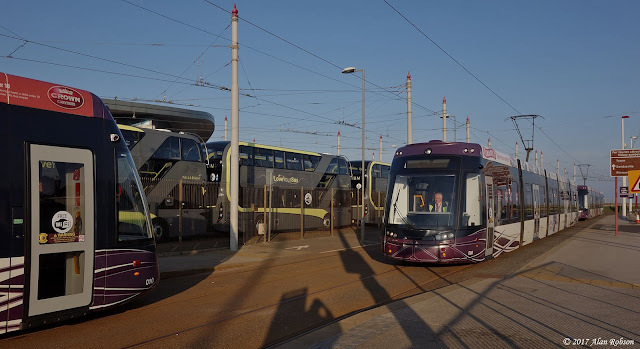 Several of the new Enviros were required for passenger service that day, but 421 to 430 were gradually brought from Rigby Road and arranged in front of the Tower alongside 431 to 435, forming a display of 15 of the new vehicles. 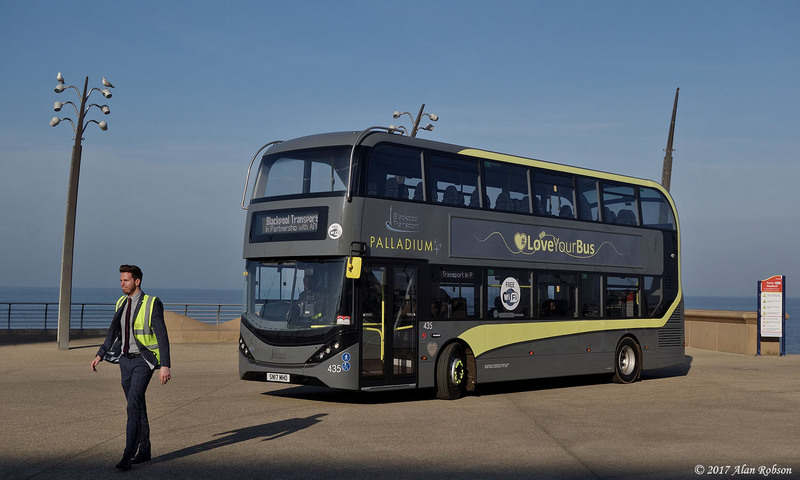 The Enviro display remained on the Tower headland throughout the afternoon until around 4pm.